I have chosen this year to pick a word again....instead of a list of resolutions. Last year my word was Nurture. I wanted to nurture my relationships with my family and friends. Spend more quality time developing true solid relationships. and for a longer period of time than planned! I don't necessarily feel like I failed, but I didn't do all I had intended. But I did nurture, so I love the idea of One Little Word. I never gave up on my word...like I might have resolutions. This year I was shying away from picking a word. I really wanted to just enjoy each moment. Enjoy each day. But I was also feeling a draw spiritually to improve. a missionary shared a thought on obedience. I was instantly touched by the Spirit. This was the word I was searching for. The word that described the feelings of my heart. This would be my word. I created this little print to remind me of my word. to enjoy each moment...than through obedience. And we all know everyday life can be mundane. I want each day to feel majestic. 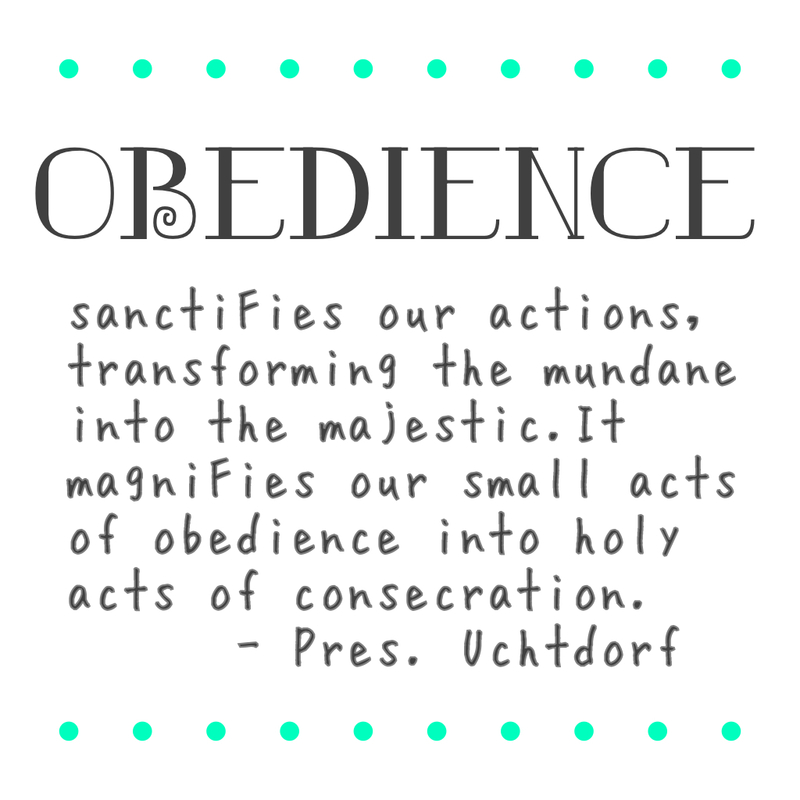 I have already been blessed by being obedient. to help me reflect on my word. Have you chosen a word this year...or made resolutions? I love this, and I love your printable! I'm trying - my word is Gratitude. I chose Balance as my word. To find balance in my everyday life. Love that you made yourself a printable!